Amazing views! We walked along the beach in the morning and had dinner at the Mussel Inn! What a fantastic place! One of the top places we have stayed during our travels! Location, view, deck furniture, nice bed, large shower and bathroom, refrigerator. Stunning property... the bach is all windows and views, perfect for two. 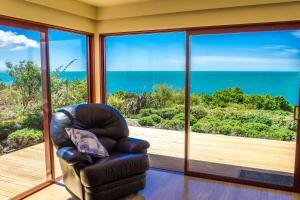 The beach out front is fantastic as is the whole area around Golden Bay! 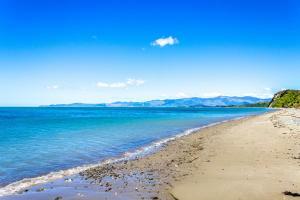 The outside activities are endless and the town of Takaka really sweet. Great panoramic seaviews from the patio as well as from all rooms in the house with bottom to ceiling windows. We woke up viewing the sunrise from our bed. Great Location, great property with lots of privacy - no other guests than a lot of nice birds around !! Absolutely stunning little house in the most wonderful location imaginable. Stunning views across the ocean with the perfect deck and house to enjoy the sunrise and sunset skies. Has everything you need for a comfortable stay and to cook for yourself as you won't want to leave! (but an easy drive if you want to eat out). Perfect for an escape for two. Easy stroll down to a charming peaceful beach. We loved the fresh water shower coming back up the path. Thank you so much for sharing your wonderful property. Location of property and configuration of the accommodation just perfect loved the wet back (fireplace) and the view of Golden Bay was unobstructed and very private. Lovely private bach with fantastic views over Golden Bay. Location was amazing, perfect little house with everything you need. Cosy fire a lovely retreat. 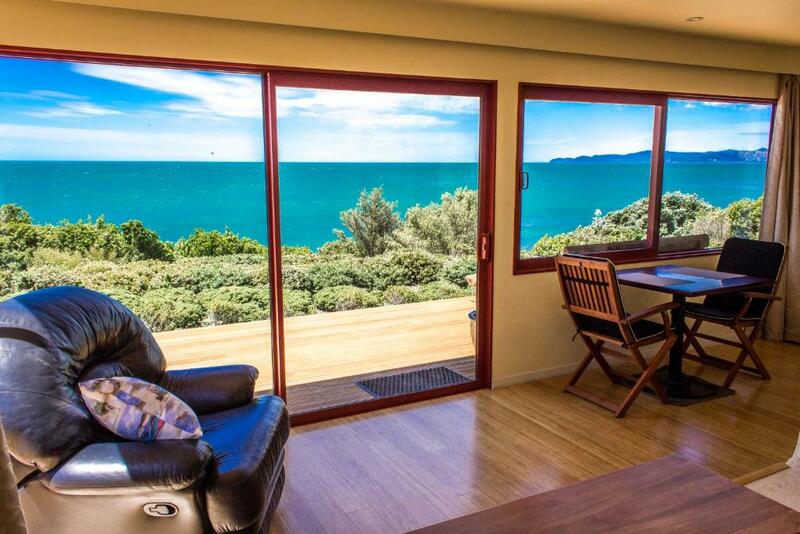 Lock in a great price for Sunrise Apartment - Golden Bay – rated 9.2 by recent guests! 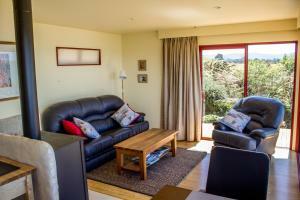 Located in Onekaka in the Tasman region, Sunrise Apartment - Golden Bay has a garden. Providing free WiFi, the property also has a private beach area and barbecue facilities. Providing access to a balcony with sea views, the vacation home consists of 1 bedroom and a fully equipped kitchen. The vacation home also has a bathroom with a shower. The nearest airport is Nelson Airport, 73 miles from the property. 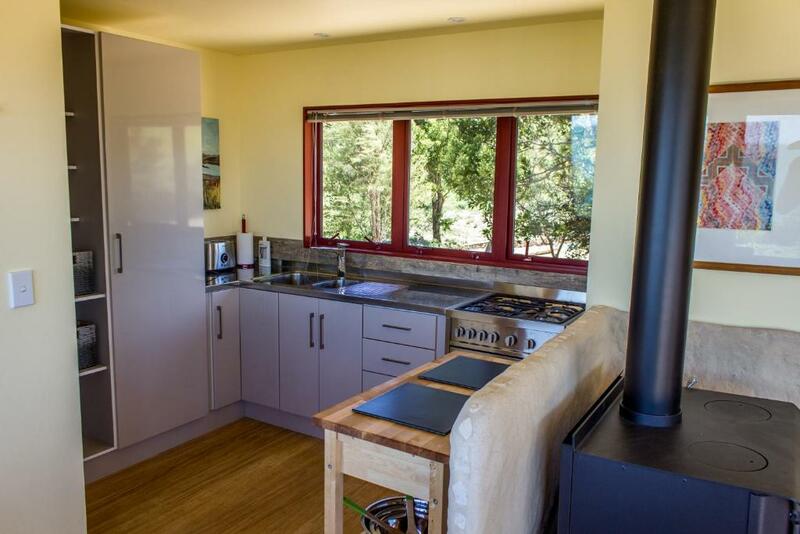 This property also has one of the top-rated locations in Onekaka! Guests are happier about it compared to other properties in the area. This property is also rated for the best value in Onekaka! Guests are getting more for their money when compared to other properties in this city. When would you like to stay at Sunrise Apartment - Golden Bay? 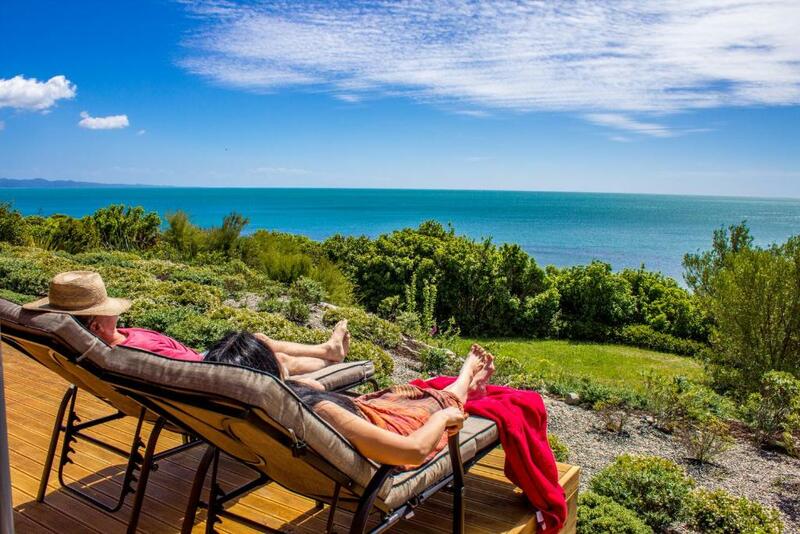 The perfect couples retreat, located in Golden Bay, NZ above the beachfront with vast panoramic sea views. Enjoy a private beach, fresh air, peace and quiet. As the sun sets in the open country setting, enjoy a warm evening under the stars. Wake up to the sun rising over the ocean horizon, often lighting up the sky in a vivid array of colour. The days are well spent relaxing around our private beachfront property or exploring the magical sights and experiences offered in Golden Bay. Sunrise Apartment is a truely unique place. Your own secluded piece of paradise to relax and unwind. 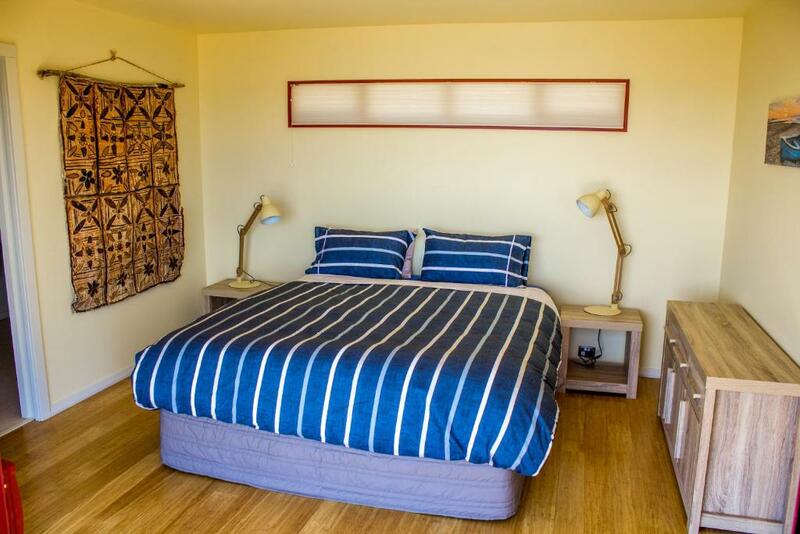 The apartment is very modern, build in 2016 with Eco-Friendly Solar Power. We are very close to the Mussel Inn where you can enjoy a selection of craft beers and live music. Guests have access to the private apartment area, surrounding property, private beach and safe swimming in the ocean. You will also have access to daily Meditation and Yoga at the nearby retreat. I love the outdoors, sunshine and fresh air. 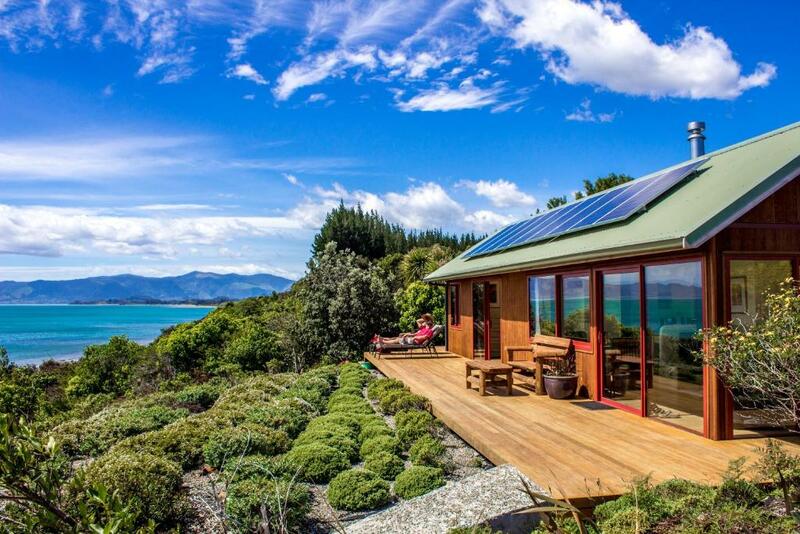 It’s time to experience Golden Bay – New Zealand’s hidden paradise. Dine out at one of the unique bars or cafes, take a walk to Wharariki Beach or enjoy the sights of the Abel Tasman National Park, follow the the Art Trail to discover local creatives, immerse yourself in the excitement of the local attractions & activities or relax around the apartment, and it’s private surroundings. House Rules Sunrise Apartment - Golden Bay takes special requests – add in the next step! Sunrise Apartment - Golden Bay accepts these cards and reserves the right to temporarily hold an amount prior to arrival. Location & the amazing views. Could have been cleaner, cobwebs etc. The private location was awesome, the view was spectacular and the house was perfect. Leaving. But we will return ! You can run out of superlatives in describing this piece of paradise. We have travelled all over the world and this apartment has to be the best we have ever stayed in. Luxurious, artistic sympathetic furnishing compliment the stunning views. Catering facilities were so good we just stayed in at night, cooked our own meals. and soaked in the atmosphere and the stars. Screen door lacking, sand flies, moths.